Nature's Answer alcohol-free extracts are produced via our multi-extraction process, using alcohol and water or other natural menstruums to ensure maximum activity. All alcohol is then removed using our proprietary process. The Bio-Chelated¨ method incorporates soaking for a period of time, using different menstruum ratios for different plants to optimize their therapeutic values. Furthermore, this procedure offers additional significant advantages when compared with other types of extraction processes commonly employed by competitors in the herbal industry. In addition, the Bio-Chelated¨ process incorporates the use of an exclusive technique that removes much of the alcohol used during the menstruum soaking (maceration) phase, replacing it with vegetable glycerin instead. 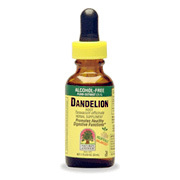 The resulting yield is an herbal extract that is either alcohol-free, or has a low alcohol content. The Bio-Chelated¨ method was the first extraction process to yield a 12-14% alcohol extract in the herbal industry! Damiana leaf fluid extract (1:1) 2,000mg. Damiana Leaves Alcohol Free Extract is shipped in a discrete, unmarked package. Orders are processed immediately and usually take about 3 to 5 working days to be received. We do ask that you try it for 2 to 3 weeks to feel the full effects. Any information received is used only for order processing and shipping purposes. Your information, such as e-mail address, will never be disclosed to a third party.